Velez College is an educational institution incorporated under the Philippine Corporation Law on March 28, 1966. The institution was founded by Dr. Jacinto Velez, Sr., who at that time, was the Chairman of the Board of Trustees of Cebu (Velez) General Hospital School of Nursing. The roots of the college started out by the establishment of the Cebu (Velez) General Hospital School of Nursing in the school year 1952-1953. The original three-year Nursing academic program had twenty-six (26) graduates for the first batch. They received their diplomas and title “Graduate Nurse” on April of 1955. In the school year 1967-1968, the old nursing curriculum was gradually phased-out. In the same year, the school opened the five-year nursing program, leading to the degree of Bachelor of Science in Nursing of Velez College. The first batch of graduates for Bachelor of Science in Nursing was in March 1973. The College of Liberal Arts opened its first class in school year 1966-1967. The other colleges were opened in the following years: the College of Medical Technology in the school year 1967 – 1968 and the College of Nursing in the school year 1968 – 1969. 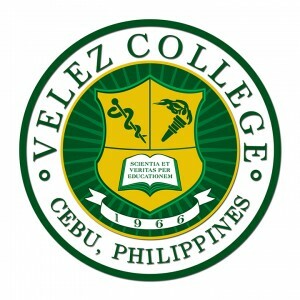 In coping with the highly competitive national and international market, Velez College initially opened its Physical Therapy and Occupational Therapy curricula in the school year 1992-1993, leading to the degree of Bachelor of Science in Physical Therapy and Bachelor of Science in Occupational Therapy. A globally recognized institution of academic excellence imbued with a high level of competence and integrity anchored on a strong culture of service and research. To develop competent professionals who are socially responsible, and morally fit productive citizens of the world with a passion for service and lifelong learning. 2. Implementation of academic programs and activities that will enhance the affective and psychomotor development, moral character, personal discipline, social responsibility and good citizenship. 4. Promotion of programs to encourage both quantitative and qualitative research. 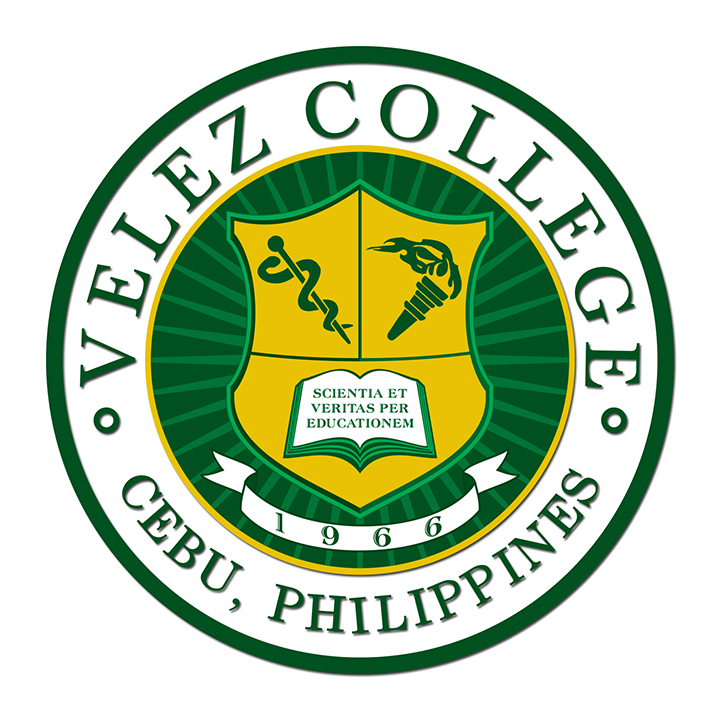 The College Seal is the insignia of Velez College, which is represented by the symbols contained in a shield. The right half depicts the flaming torch of enlightenment signifying the school’s effort in bestowing upon its students, the Velezians, the intellectual light against the darkness of ignorance and misconceptions. The left half bears the Aesculapian staff as the symbol of paramedical and science education and training that Velezians have to undergo in the course of their studies. The book inscribed with “Scientia et Veritas per Educationem” symbolizes the educational goals of Velez College for its students, as well as for the citizens of the Filipino nation.